Joseph T. Katta, DO joined Infectious Disease Consultants in 2012. He received his Bachelor of Science in Microbiology and Immunology at the University of Miami in Coral Gables, FL and his medical degree from Nova Southeastern College of Osteopathic Medicine in Davie, FL. 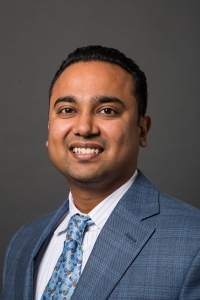 Dr. Katta completed his Internship at Advocate Lutheran General Hospital in Park Ridge, IL and his Residency in Internal Medicine and Fellowship in Infectious Diseases and International Medicine at the University of South Florida in Tampa, FL. Dr. Katta is Board Certified in Infectious Diseases by the American Board of Internal Medicine. He is a member of the American College of Physicians, the American Osteopathic Association, and the Infectious Disease Society of America.